Quick updates, nothing much happening around my set. 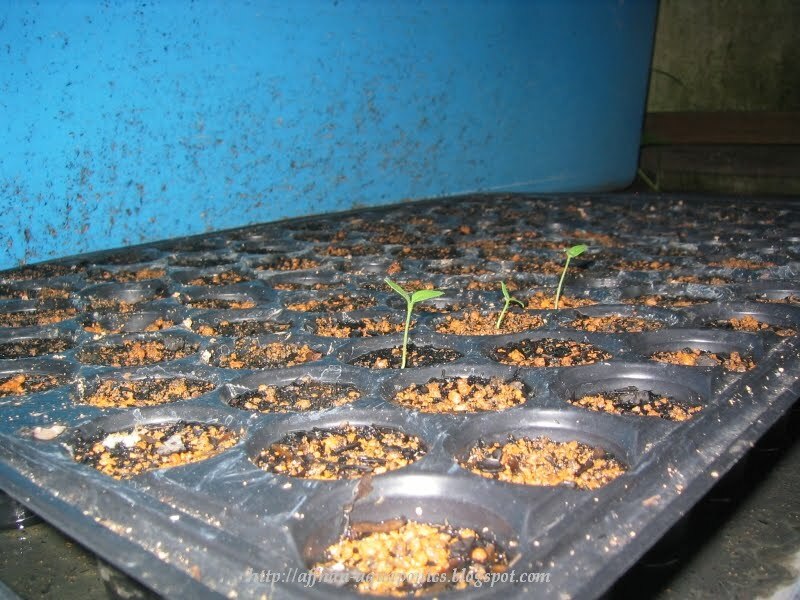 The seed that I sow last week or so only 3 germinate so far. Have to wait another week, those seeds comes in vacuum pack foil package they may be very dry. 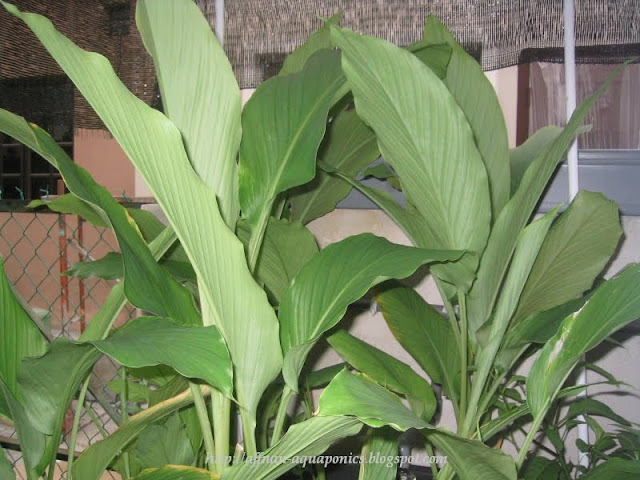 Kunyit or Turmeric they have grown to large size after I provide the shade. Its big.., normally not as large as in photo below. The weather being very unpredictable these last few weeks, rain one day and hot the next. Tilapia doing great no problem, I am not adding any new fingerling. email send... may not have answered all.